After my 11 mile run this morning I needed to replenish the 800+ calories I burned quick! To go along with the beautiful weather I decided a smoothie was the just the ticket! 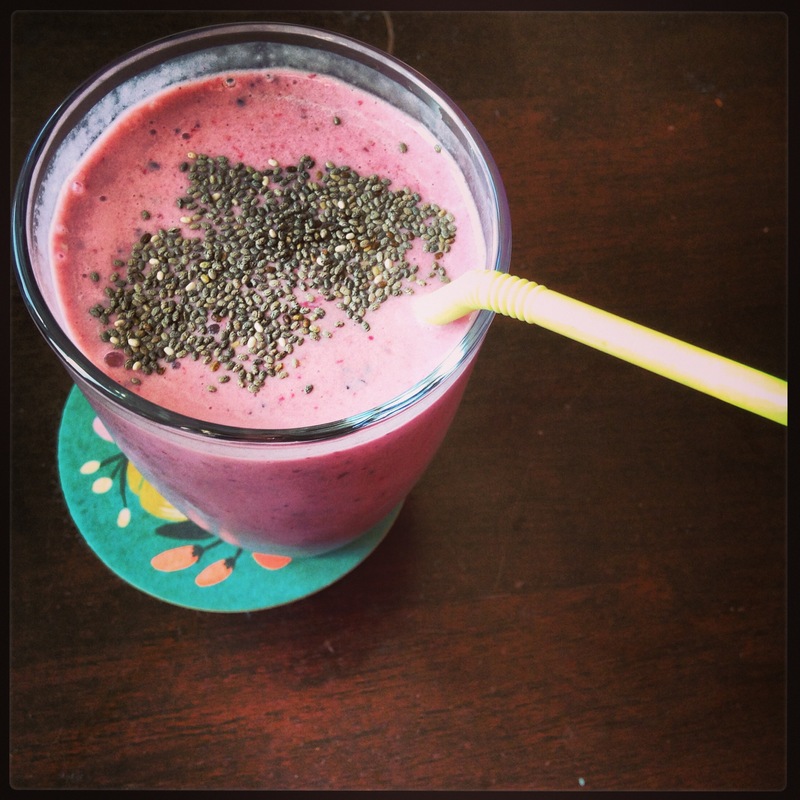 This smoothie, along with plenty of water, was the perfect post-workout drink! 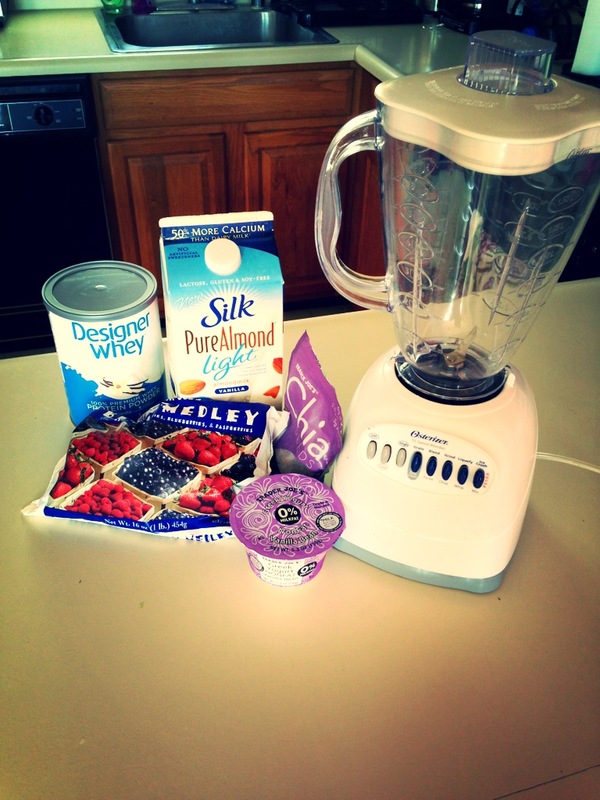 Blend all the ingredients together and the smoothie is ready to drink! Next time I might add a handful of spinach for some extra nutrients. If you don’t like vegetables, combining spinach or kale in a smoothie is a great way to hide the veggie taste, but still get those nutrients. I promise you won’t even taste it! What is your favorite smoothie combination? ?